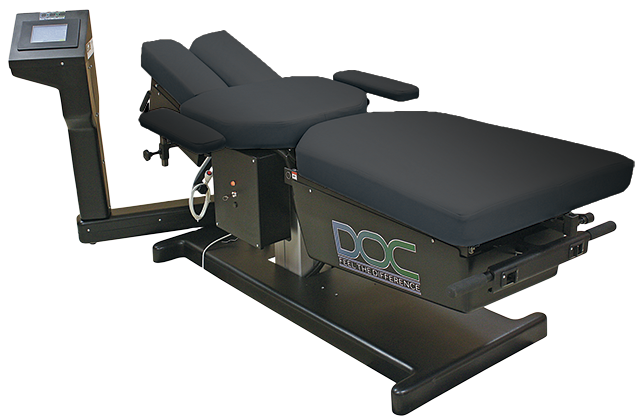 Chiropractor Toronto, Physiotherapy and RMT Services, Direct Billing Available and Most Insurances Accepted. Call us on 416 479 – 8311. Welcome to Core Wellness Centre, your natural solution to a pain-free and healthy lifestyle. Dr. Kris, Chiropractor Toronto and the Core Wellness Team, Physiotherapy and RMT, specialists utilize state-of-the-art technology and advanced approach to help patients overcome challenges through accident or injury. Our goal is to provide you with the latest natural health care in Toronto and the GTA using various adjusting techniques and therapies. Get your lifestyle back without side effects while addressing the root cause of your health issues. We can help! Get your lifestyle back without side effects or drugs, and while addressing the root cause of your pain for long lasting results. 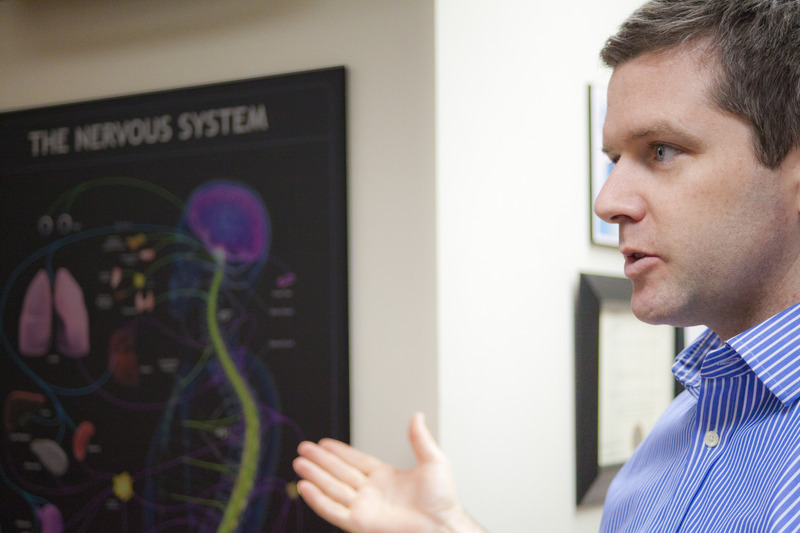 Chiropractic Treatment is a natural, holistic, and safe approach. Suffer from a Sports Injury, Slip and Fall, RSI or Workplace Injury? Our Physiotherapy Clinic gets you back on your feet fast! 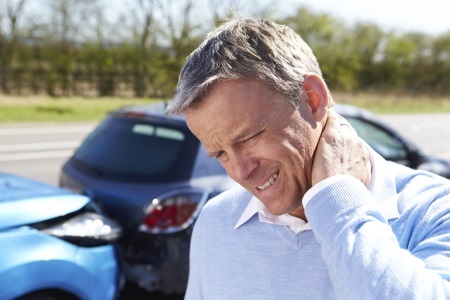 Physiotherapy can be particularly effective for whiplash, injuries, muscle sprains and strains & post-surgery rehabilitation. We can help! Recover quickly using state-of-the art technology and advanced approaches. Ask About Our RMT, Registered Massage Therapy as part of your personalized therapy program. Our licensed RMT specializes in a dynamic style of therapeutic massage combining deep precise pressure, cooperative movement and postural education. We accept walk-ins. We also speak many languages. No insurance? No problem! It’s easy to get the care you need! 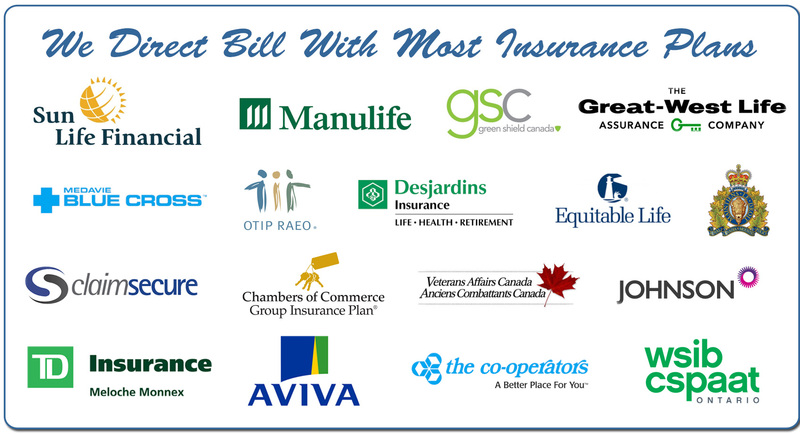 We verify your coverage and work directly with the insurance company, WSIB, extended health care plan or MVA motor vehicle accident claim. Online and Direct Billing. Very close to St Clair West Subway. Free parking in back. Do You Have a Toxic Colon? Guide to Colon Care.